4am. arrival. ghost town. only truck here. What beauties.... great companions for the long haul!!! Yup. That just doesn't look like much is happening... hope you guys got some rest! Howdy sir krazzytrukker! wow I'm shocked that you were the only truck there, the place looks huge so I figured there would be some volume of trucking there. 2 other trucks showed up. Me & The Kits are chillin in Rayville LA. 300 miles from our drop 2 maro in Desoto, TX. Then back to Marshall TX. 2 pick up a load of cabinets to deliver in St Augustine FLA.
Howdy sir krazzytrukker! oh so you are done driving for the day, or night? That's great. How do you schedule your loads? I mean where do you look for them at, obviously some website. Done 4 day, I like the i20 lane 2 TX. Fairly flat, for fuel milage. Low DOT presence. Plenty of east west TX to FL loads... on Landstaronline.com. Low DOT presence yay! Hey this is a really dumb question but do trukkers still use CB radio to talk to each other and warn about things ahead? Not so much, us old schoolers still do. Many noobs are told they cannot put em in truck due to hands free device laws. The CB radio, as annoying & noisy as it can be, has saved my life, and countless others. By warning of road hazards, drunk or impaired drivers, warning others of junk laying in road that could take out a steer tire. Stopped cars around a blind corner. 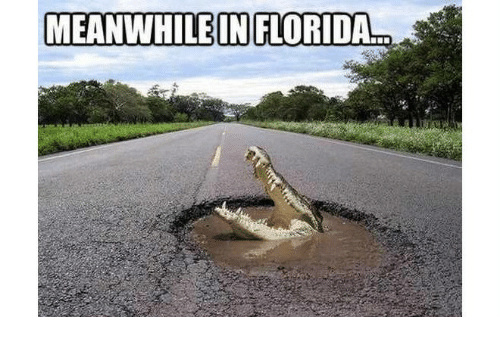 Deer in the road, People on shoulder changing tires.... the world famous "GATORS" (blown tire treads) etc etc. Sad to see such a useful tool being demonized. wow sir krazzytrukker, well that's good that some are still using the radios but you'd think most would want it and need it for all you mentioned plus driving conditions in icy or bad weather. And I can get that meme now about the "Gators" lol. Are you at another Pilot truck stop?